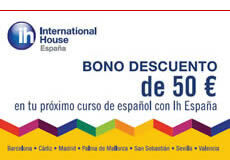 Spanish Schools in Spain - Learn Spanish in Spain with IHSpain. In 1998, four Spanish Schools in Spain decided to form a group, called IH Spain. Unlike some other Spanish schools in spain, these not only focused on teaching English to the local population, but also on teaching Spanish to foreign students. Today IH Spain is made up of eight IH centers spread out in every corner of the country, teaching a variety of different languages. Only the best Spanish schools in Spain that have proven their commitment to high quality in teaching as well as in other services may affiliate with IH. IH Barcelona is a well-established school situated in one of Europe’s biggest and most popular metropoles. 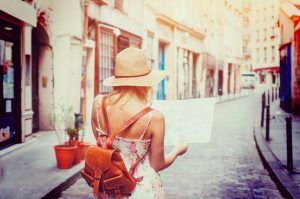 Learn Spanish while enjoying both the beach and the big city life. IH Cadiz is situated just by the beach, in the center of the city. Cadiz is one of the oldest cities in Europe, and besides being rich in history, also attracts many surfers. IH Madrid The capital and largest city in Spain. For the one who’s looking for a place with a lot going on, night life, restaurants, art, nightlife – Madrid has it all. IH Seville. If you like cobblestone streets, historical buildings, and flamenco, you might want to go to Seville. This medium-sized city is always full of life, but a bit more relaxed than Barcelona or Madrid. IH Palma Mallorca is the top language school on the whole island. This is the place for you who wants to combine relaxing on the beach with a great nightlife. IH Malaga is situated right in the middle of the center. Enjoy great shopping and the many museums, or relax on the beach – Malaga has it all! IH San Sebastian is the largest language school in the north of Spain and the only one accredited by the Cervantes Institute. Experience the Basque Country’s amazing cuisine and culture. IH Valencia is a great choice for almost anyone. This Mediterranean city is the home of the paella and has both a vibrant city life as well as a beautiful beach.